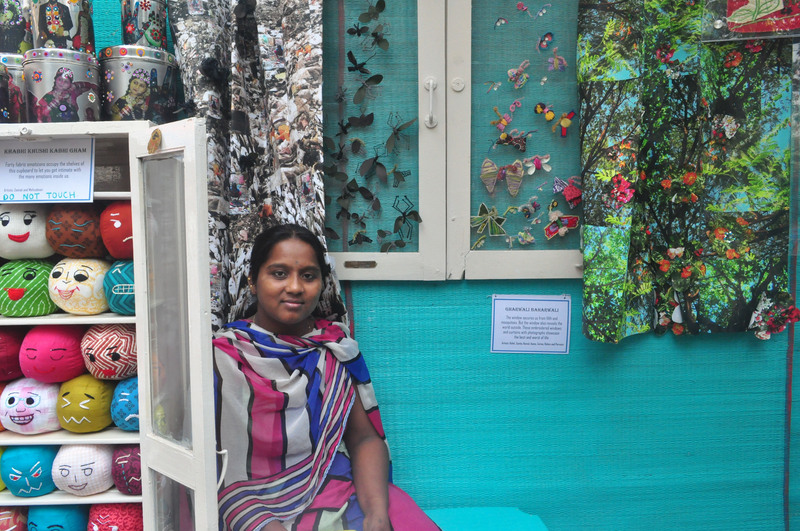 Last year, Dekha Undekha by SNEHA hosted Ghar Pe/At Home, an exhibition of art and health, in Dharavi, Mumbai. 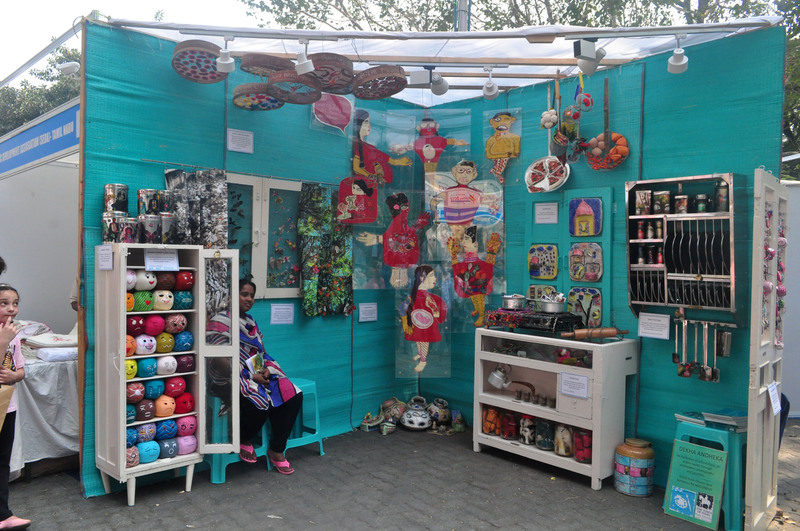 This year, we took it to the Kala Ghoda Arts Festival in Mumbai and had tremendous fun setting it up, talking to visitors and delighting in the compliments. 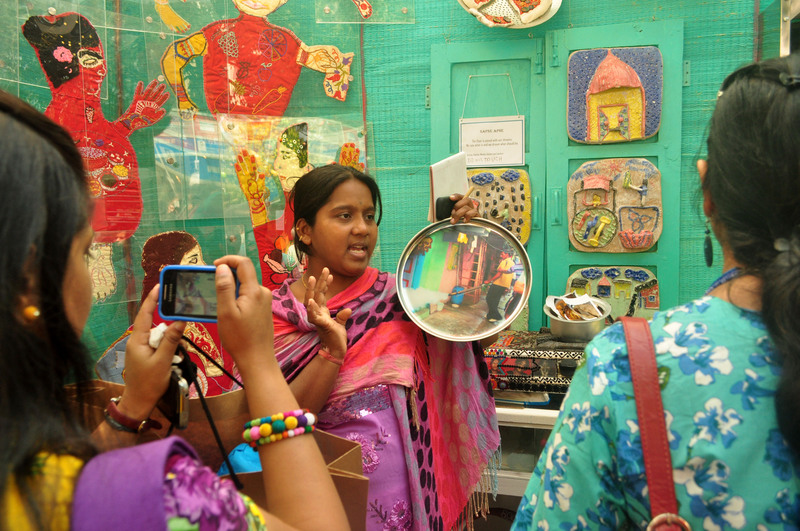 Sunita D’Souza and Asmabi, our photography participants, and other SNEHA sanginis stood at the helm of affairs and explained the messages behind the artworks to the well-heeled visitors. By the ninth day, Sunita says that she had been energetic all this while but now her energy levels were dipping. 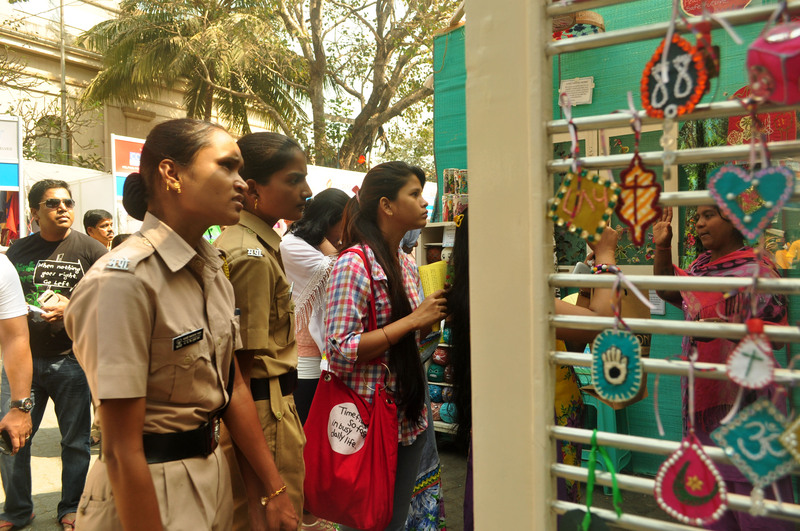 Sunita D’Souza ardently explained the artworks to all who stopped by. Our little green room stood in a triangular section and had a different visual appeal from the original exhibition held last year. The installation was spatially condensed and closer to the feel of a cozy room in which every corner had a story to share. Our installation evoked a variety of responses. 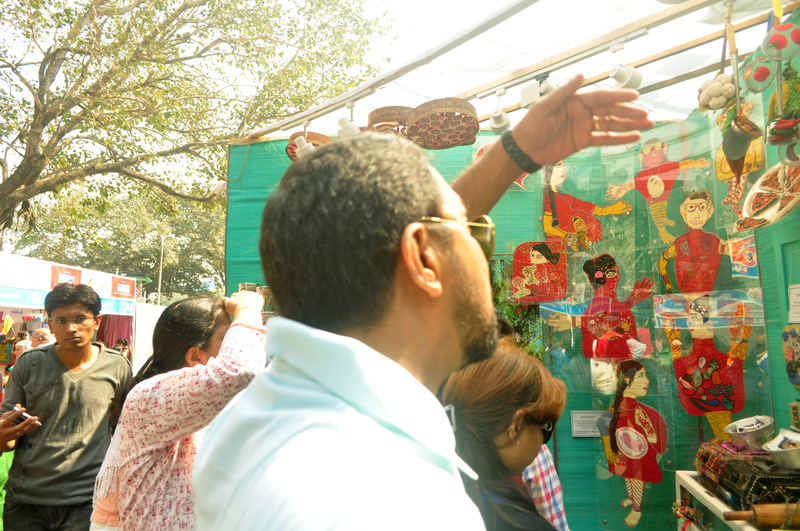 While many men inquired about the meaning of the artworks, their wives inquired about the prices of the art pieces. Many a mother picked up ideas for her child’s art and craft class. Sunita also cleverly generalised issues of domestic violence to male audiences. She indicated to them that men have a duty to stop others who are involved in the crime of domestic violence. As we blog on the last day of the KGF, we are reminiscent of the activities that went on for a year and culminated in Ghar Pe. 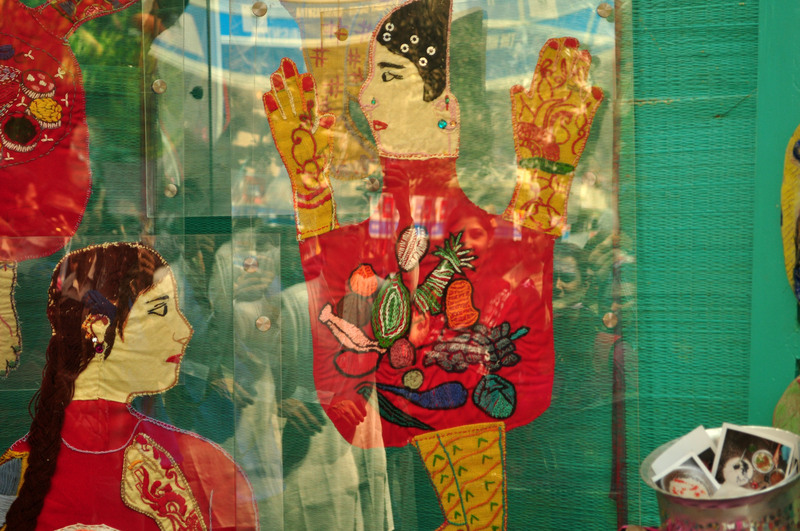 We have just begun the second phase of the art for health project and we are calling it Dharavi Biennale. And we can’t wait to see the stuff that will come out of it! Policewomen sieze their two minute break to drop in At Home.